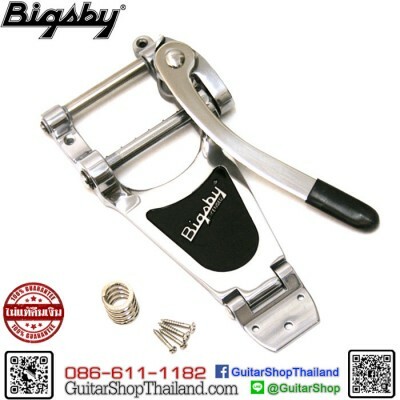 Condition: New สะพานสายกีต้าร์ BIGSBY B70สำหรับกีตาร์ด้านหน้าเรียบเช่น Fender Tele/Jazzmaster , Gibson SG/Les paul specail ,Gretsch®, PRS And MoreBigsby B50 SpecificationsModel Name: B-50Series: Lightning Series IManufacturing Method: Die CastManufacturing Material: AluminumApproximate weight: 290 grams/10.2 oz.Overall Length: 4 5/16”/ 109.5 mmOverall Width: 3 13/16”/96.8 mmArm adjusts with 1/8” Allen wrench and 5/16” socket Bigsby website >http://www.bigsby.com/vibe.. 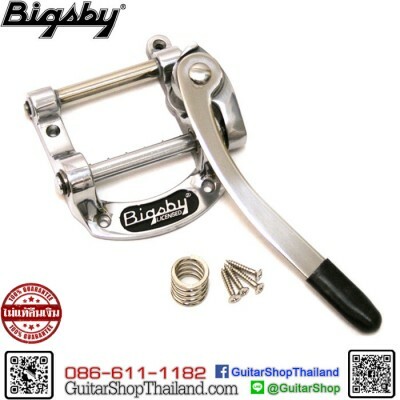 Condition: New สะพานสายกีต้าร์ BIGSBY B70 Aluminumสำหรับกีตาร์ด้านหน้าโค้งเช่น Les Paul และ Semi hollow GuitarBigsby B70 SpecificationsModel Name: B-70Series: Lightning Series IManufacturing Method: Die CastManufacturing Material: AluminumApproximate weight: 358 grams/ 12.6 oz.Overall Length: 8 11/16”/ 220.7 mmOverall Width: 3 3/4”/95.3 mmArm adjusts with 1/8” Allen wrench and 5/16” socket Bigsby website >http://www.bigsby.com/vibe/products/vibratos/bigsby-b70/ .. 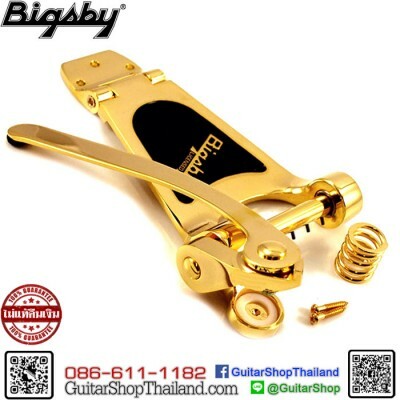 Condition: New สะพานสายกีต้าร์ BIGSBY B70 Goldสำหรับกีตาร์ด้านหน้าโค้งเช่น Les Paul และ Semi hollow GuitarBigsby B70 SpecificationsModel Name: B-70Series: Lightning Series IManufacturing Method: Die CastManufacturing Material: AluminumApproximate weight: 358 grams/ 12.6 oz.Overall Length: 8 11/16”/ 220.7 mmOverall Width: 3 3/4”/95.3 mmArm adjusts with 1/8” Allen wrench and 5/16” socket Bigsby website >http://www.bigsby.com/vibe/products/vibratos/bigsby-b70/ **กรณ.. 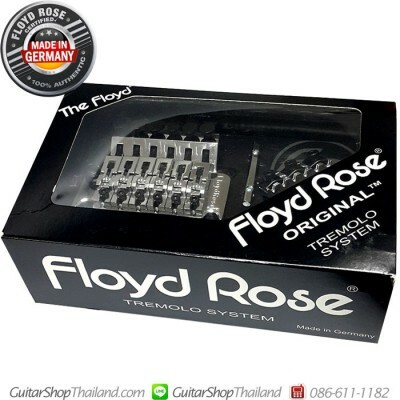 Condition: Newสะพานสายฟรอยโรสอริจินัล 1000 SeriesFloyd Rose Original 1000 Series Tremolo Bridge - Box setThe flagship tremolo system produced in USA.Features:Professional design and proven performanceDouble-locking systemHigh quality steel partsMaterials:Base plate : Hardened steelSaddles : Hardened steelTremolo block : Nickel-plated brassTremolo arm : Hardened steelScrews : Hardened steelSprings : Coiled steel- See more at: http://www.floydrose.com/catalog/tremolos.. 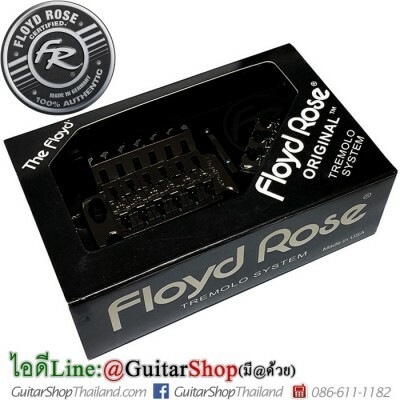 Condition: Newสะพานสายฟรอยโรสอริจินัล 1000 series สีดำเงา1000 series Floyd Rose Original Tremolo Bridge - Box setThe flagship tremolo system produced in USA.Features:Professional design and proven performanceDouble-locking systemHigh quality steel partsMaterials:Base plate : Hardened steelSaddles : Hardened steelTremolo block : Nickel-plated brassTremolo arm : Hardened steelScrews : Hardened steelSprings : Coiled steel- See more at: http://www.floydrose.com/catalog/tremo.. 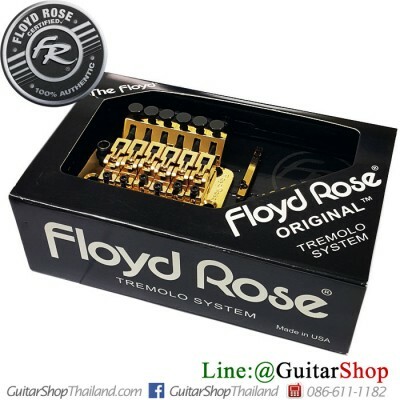 Condition: New สะพานสายฟรอยโรสอริจินัล 1000 SeriesFloyd Rose Original Style Tremolo Bridge - Box setThe flagship tremolo system produced in USA.Features:Professional design and proven performanceDouble-locking systemHigh quality steel partsMaterials:Base plate : Hardened steelSaddles : Hardened steelTremolo block : Nickel-plated brassTremolo arm : Hardened steelScrews : Hardened steelSprings : Coiled steel- See more at: http://www.floydrose.com/catalog/tremolos/6:original-seri.. 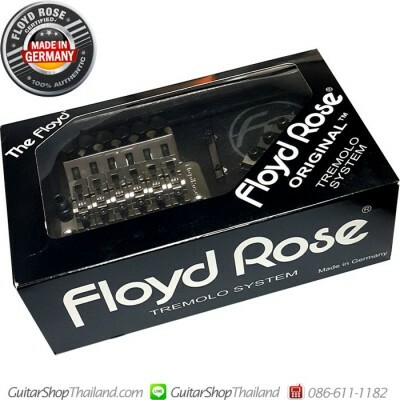 Condition: NewสะพานสายฟรอยโรสออริจินัลสีดำNew Genuine Floyd Rose Original Series Tremolo Bridge Black Set Made in Germanyสิ้นค้าเป็นของแท้ 100% สามารถเลือกขนาดความกว้างขอนัทได้ตั้งแต่ 41mm, 42mm, 43mmThe flagship tremolo system The Floyd Rose Original Series Tremolo Bridge is used by more professionals throughout the world than any other. No copy can duplicate the double-locking design of the Floyd Rose Tremolo System that allows you to lock your guitar in tune at the nut a.. 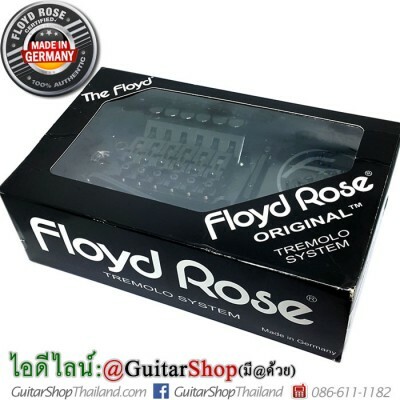 Condition: NewสะพานสายฟรอยโรสออริจินัลสีดำเงาNew Genuine Floyd Rose Original Series Tremolo Bridge Black Nickel Set Made in Germanyสิ้นค้าเป็นของแท้ 100% สามารถเลือกขนาดความกว้างขอนัทได้ตั้งแต่ 41mm, 42mm, 43mmThe flagship tremolo system The Floyd Rose Original Series Tremolo Bridge is used by more professionals throughout the world than any other. No copy can duplicate the double-locking design of the Floyd Rose Tremolo System that allows you to lock your guitar in tune at.. 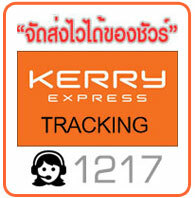 Condition: New สะพานสายฟรอยโรสออริจินอลสีเงินสิ้นค้าเป็นของแท้ 100% สามารถเลือกขนาดความกว้างขอนัทได้ตั้งแต่ 41mm, 42mm, 43mmNew Genuine Floyd Rose Original Series Tremolo Bridge Box set Made in Germany The flagship tremolo system The Floyd Rose Original Series Tremolo Bridge is used by more professionals throughout the world than any other. No copy can duplicate the double-locking design of the Floyd Rose Tremolo System that allows you to lo.. 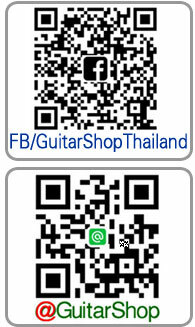 Condition: Newสะพานสายฟรอยโรสออริจินัลสีเงินด้านNew Genuine Floyd Rose Original Series Tremolo Bridge Satin Chrome Set Made in Germanyสิ้นค้าเป็นของแท้ 100% สามารถเลือกขนาดความกว้างขอนัทได้ตั้งแต่ 41mm, 42mm, 43mmThe flagship tremolo system The Floyd Rose Original Series Tremolo Bridge is used by more professionals throughout the world than any other. 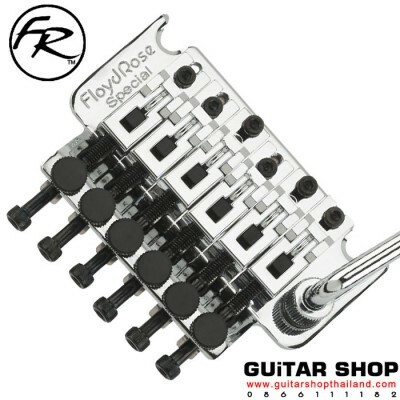 No copy can duplicate the double-locking design of the Floyd Rose Tremolo System that allows you to lock your guitar in.. 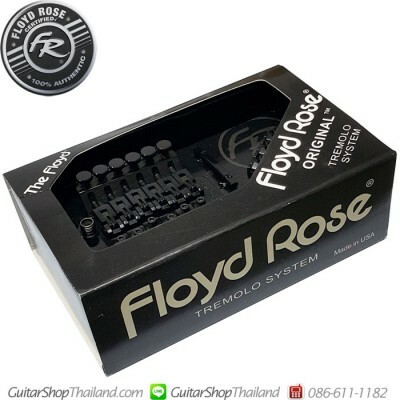 Condition: Newสะพานสายฟรอยโรสอริจินัล 1000 SeriesFloyd Rose Original Tremolo Bridge - Box setThe flagship tremolo system produced in USA.Features:Professional design and proven performanceDouble-locking systemHigh quality steel partsMaterials:Base plate : Hardened steelSaddles : Hardened steelTremolo block : Nickel-plated brassTremolo arm : Hardened steelScrews : Hardened steelSprings : Coiled steel- See more at: http://www.floydrose.com/catalog/tremolos/6:original-series/original.. Condition: New สะพานสายฟรอยโรสออริจินอลมือซ้ายสีเงินสิ้นค้าเป็นของแท้ 100% สามารถเลือกขนาดความกว้างขอนัทได้ตั้งแต่ 41mm, 42mm, 43mmNew Genuine Floyd Rose Original Lefty Tremolo Bridge Box set Made in GermanyThe flagship tremolo system The Floyd Rose Original Series Tremolo Bridge is used by more professionals throughout the world than any other. 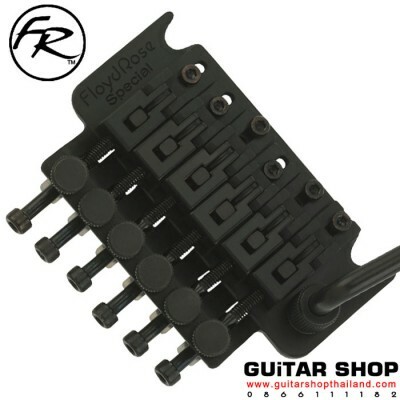 No copy can duplicate the double-locking design of the Floyd Rose Tremolo System that allows you to .. 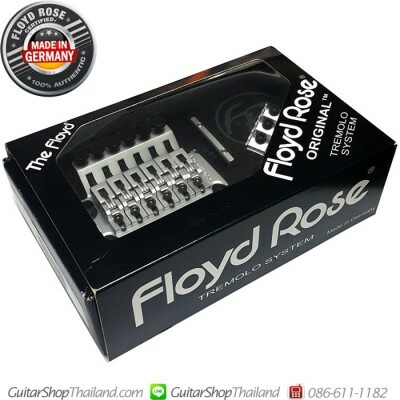 Condition: Newสะพานสายฟรอยโรสสเปเชียลครบชุด *แบบไม่มีกล่อง (No box set)New Genuine Floyd Rose Special Series Tremolo Bridge Black Nickel # FRTS5000 -No Box-สิ้นค้าเป็นของแท้ 100% ผลิตที่โรงงาน Folyd Rose เกาหลี-สินค้าราคาขายส่งเป็นแบบไม่บรรจุเพกเกจ The Floyd Rose Special is our Authentic version of a licensed Floyd Rose tremolo system manufactured in Korea exclusively for Floyd Rose. The Floyd Rose Special maintains the construction parameters and features of.. 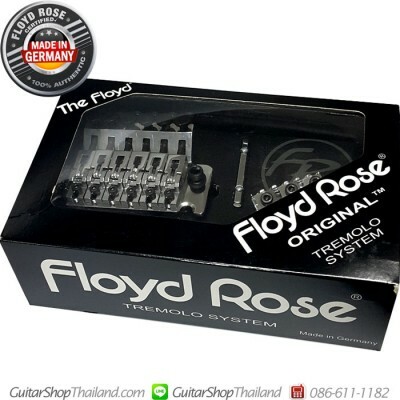 Condition: New สะพานสายฟรอยโรสสเปเชียลครบชุด *แบบไม่มีกล่อง (No box set)New Genuine Floyd Rose Special Series Tremolo Bridge #FRTS1000-No box Set-สิ้นค้าเป็นของแท้ 100% ผลิตที่โรงงาน Folyd Rose เกาหลี-สินค้าราคาขายส่งเป็นแบบไม่บรรจุเพกเกจThe Floyd Rose Special is our Authentic version of a licensed Floyd Rose tremolo system manufactured in Korea exclusively for Floyd Rose. The Floyd Rose Special maintains the construction parameters and features of an Original Floyd Rose,.. 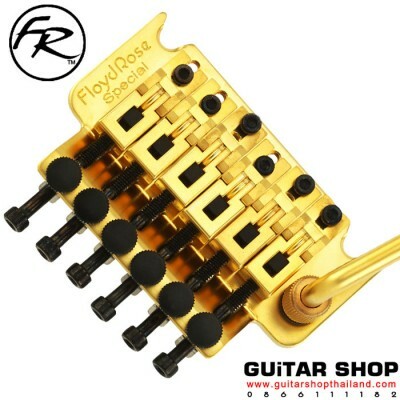 Condition: Newสะพานสายฟรอยโรสสเปเชียลครบชุด *แบบไม่มีกล่อง (No box set)New Genuine Floyd Rose Special Series Tremolo Bridge Gold #FRTS3000-No box Set-สิ้นค้าเป็นของแท้ 100% ผลิตที่โรงงาน Folyd Rose เกาหลี-สินค้าราคาขายส่งเป็นแบบไม่บรรจุเพกเกจ The Floyd Rose Special is our Authentic version of a licensed Floyd Rose tremolo system manufactured in Korea exclusively for Floyd Rose. The Floyd Rose Special maintains the construction parameters and features of an Origin.. 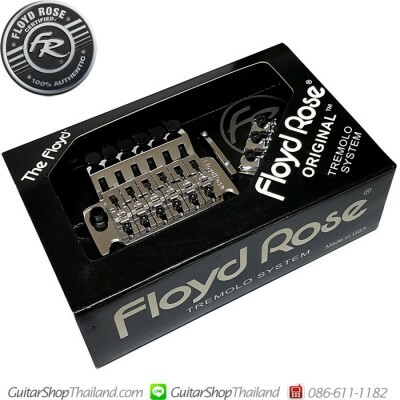 Condition: Newสะพานสายฟรอยโรสสเปเชียลครบชุด *แบบไม่มีกล่อง (No box set)New Genuine Floyd Rose Special Series Tremolo Bridge #FRTS2000- No Box-สิ้นค้าเป็นของแท้ 100% ผลิตที่โรงงาน Folyd Rose เกาหลี-สินค้าราคาขายส่งเป็นแบบไม่บรรจุเพกเกจ The Floyd Rose Special is our Authentic version of a licensed Floyd Rose tremolo system manufactured in Korea exclusively for Floyd Rose. 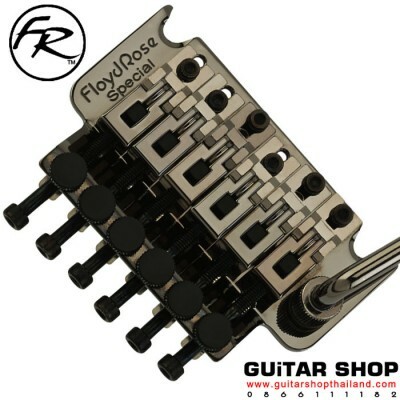 The Floyd Rose Special maintains the construction parameters and features of an Original Floyd ..